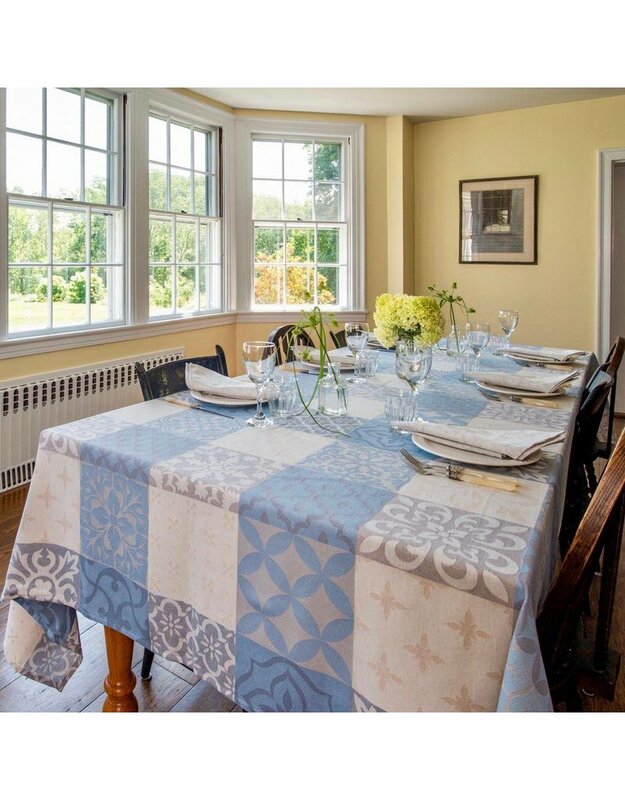 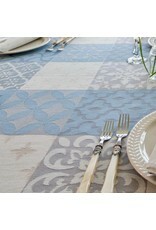 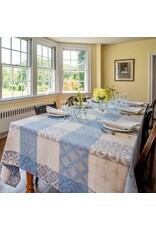 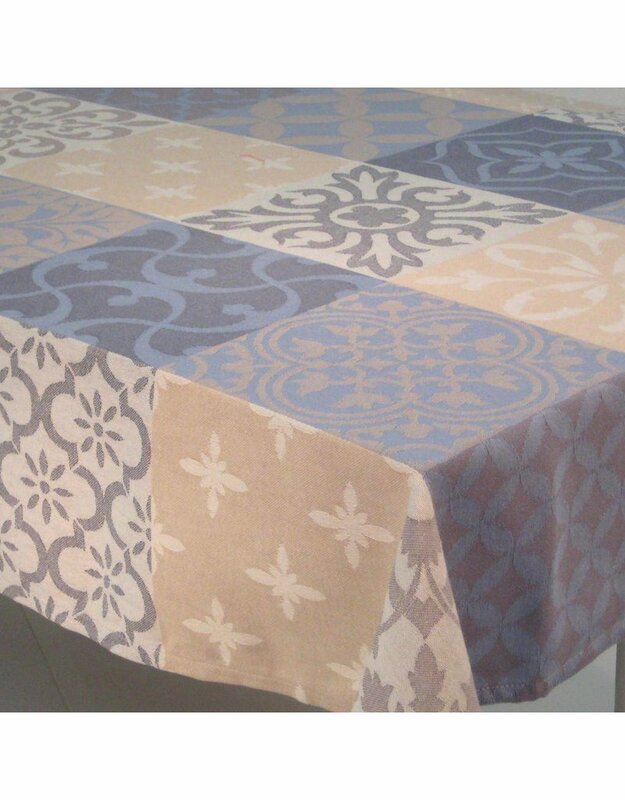 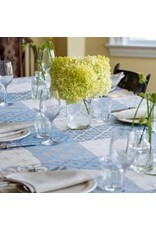 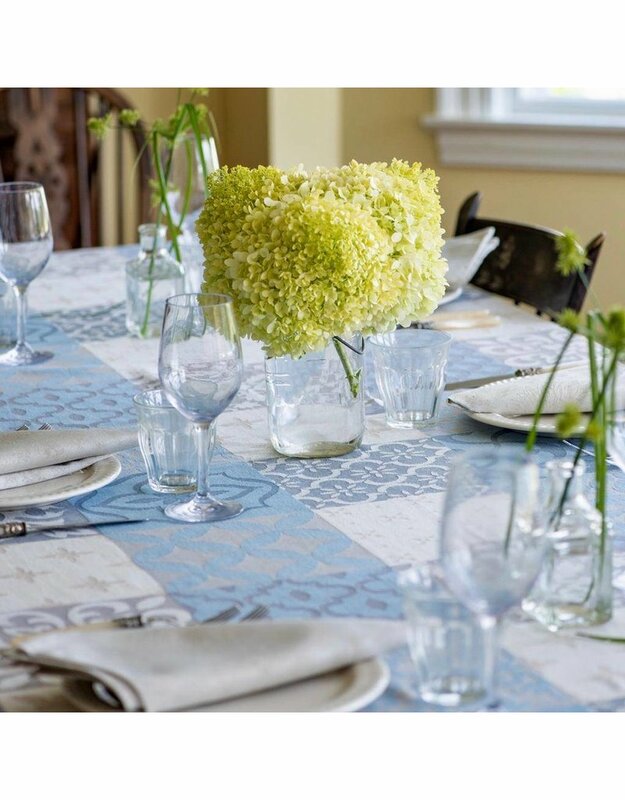 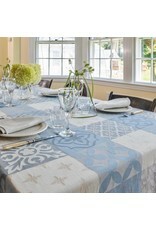 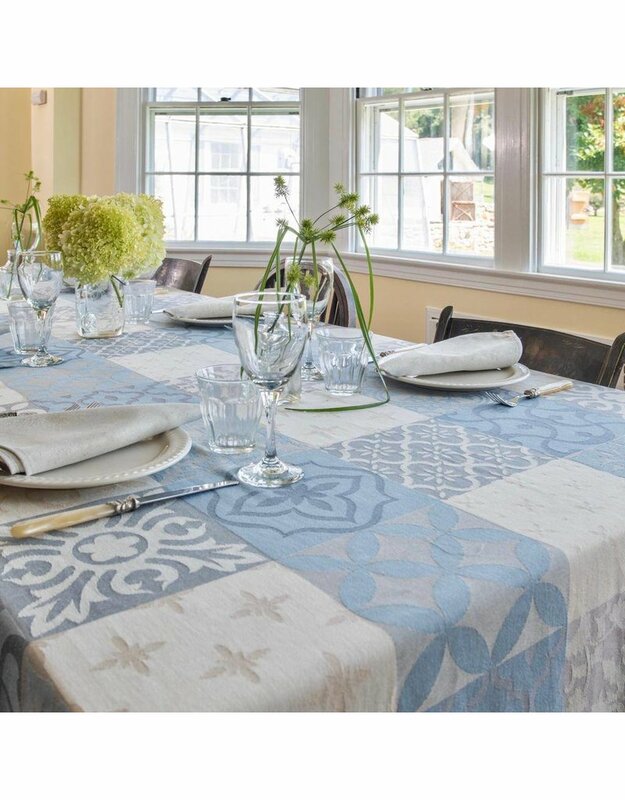 Our Carces tablecloth features traditional quilt block designs with squares of geometric and stylized floral motifs. 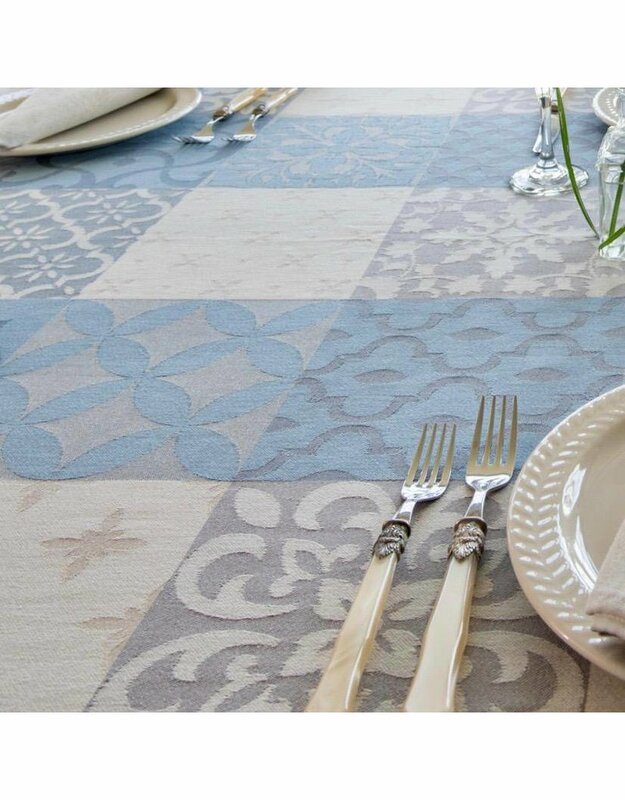 This lovely soft grey, blue, cream and white jacquard is named for the town of Carcès in southeastern France. 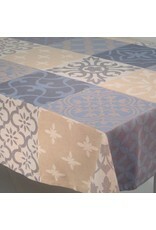 The soft cotton fabric has been treated to be stain-resistant when laundered.